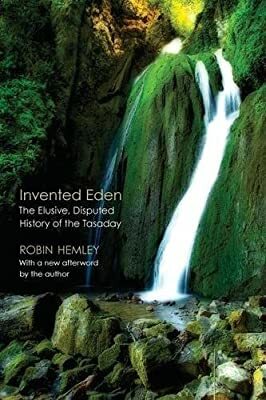 Author: Hemley, Robin Set In . . . In 1971 Manual Elizalde, a Philippine government minister with a dubious background, discovered a band of twenty-six “Stone Age” rain-forest dwellers living in total isolation. The tribe was soon featured in American newscasts and graced the cover of National Geographic. But after a series of aborted anthropological ventures, the Tasaday Reserve established by Ferdinand Marcos was closed to visitors, and the tribe vanished from public view. Twelve years later, a Swiss reporter hiked into the area and discovered that the Tasaday were actually farmers whom Elizalde had coerced into dressing in leaves and posing with stone tools. The “anthropological find of the century” had become the “ethnographic hoax of the century.” Or maybe not. Robin Hemley tells a story that is more complex than either the hoax proponents or the authenticity advocates might care to admit. It is a gripping and ultimately tragic tale of innocence found, lost, and found again. The author provides an afterword for this Bison Books edition.